iPhone X, the subject of immeasurable expectations and fantasies since its announcement, was supposed to be a dream for the iOS fans and tech-geeks alike. With the front and back both made of glass, something that hasn’t been the case for iPhones, was something everybody was thrilled about. But what was the biggest wow factor was the nearly edge-to-edge display of the new iPhone X and the absence of the beloved Home Button. 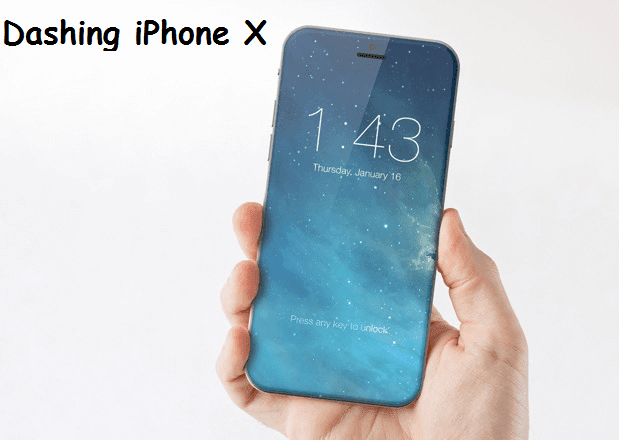 The new device has reached its first customers starting from November the third, and despite the thrills and the excitement, the first-hand experiences would be the deciding factor for many on whether to go for the new iPhone X! The new features declared with the announcement of the new iPhone X, or the iPhone 10 as some would call it, has included a fifty percent strengthening layer, and a seven-layer ink process that promises precise hues and opacity. The reflective optical layer would make the colors look better. And on top of it, the phone is promised to look shiny and spotless with its new oleophobic coating that prevents fingerprints and smudges! But probably the one factor that has been a matter of surprise was the edge to edge display and the absence of the home button. The beginning of the era without the iPhone Home Button! The lock button has been lengthened and rechristened as the ‘side button’, with new accelerometer and gyroscope added. The display is a striking 5.8 inches which gives it the credit of the largest iPhone display ever built! OLED display is a new thing for iPhones, starting with the iPhone X, giving it the much sought after screen features such as true blacks, a great contrast ratio, and much more accurate colors. The true tone feature also allows the iPhone X to adapt to it environment, which means that if you are sitting at your usual bar in the evening on a Friday, the screen will give you a much warmer glow, yet the same phone will give you a much brighter bluish hue when you are out hiking with friends the very next day! The true HDR display lets you watch your movies in Dolby vision and an HDR 10, with the pixels counting to 2436x1125 on your photos, thus presenting you the best resolution, with a striking 458 pixels per inch. The contrast ratio in the new phone stands at 1,000,000:1, with an embedded tap to wake system. Apple even went to the lengths of designing its own alloy, which is a surgical-grade frame of steal that would surround the phone at the edges. But in size and weight the phone remains somewhat between the new iPhone 8 and iPhone 8 Plus. So people like me who had picked the iphone 6s Plus, looking for a phone with a big display, and finding the 6s slightly small, have to admit right now that the plus sizes are a little too big, making the new iPhone X the perfect size! One of the biggest feature, we iOS lovers wait eagerly for is the news on the camera. The iPhone 7 had introduced the portrait mode, which was in a word, great. iPhones have always had a bad reputation when it comes to low light photography, but the low light performance in iPhone 7 was quite an improvement compared to the past models. 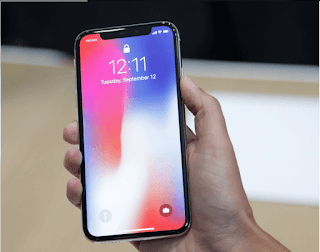 iPhone X has been rumored to fix that problem, with its TrueDepth system and the front camera mechanism consisting of a 7-megapixel camera, an infrared camera, proximity sensor, ambient light sensor, flood illuminator, and a dot projector. It also has the earpiece speaker and microphone. All these features would result in the amazing photos portrait mode selfies, the facial recognition system, and Animoji. The front camera will also now take amazing portrait mode selfies with the help of the TrueDepth system of the front camera. 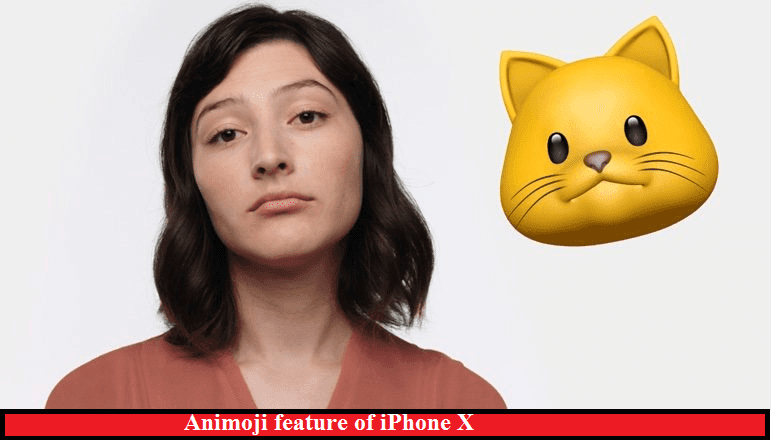 Besides this, Apple has introduced the Animoji, which are basically emoji characters which will change their own facial expressions based on the expression of the user. The rear camera has a 12-megapixel capacity, with dual lenses that are aligned vertically. There is optical image stabilization for telephoto as well as wide-angle lenses. The low light situation is fought with the help of the Quad-LED True Tone flash with Slow Sync (Whoa!). The slow sync is basically a feature that combines a short strobe pulse with a slow shutter speed, helping in situations of low light with a brighter foreground subject yet a background that is properly exposed. The unique flash works to provide more uniform illumination, reducing hot spots. Now that sounds pretty good for the “chilling at the bar” photos for sure! Your Christmas videos will be better this year too, with 4K video recording at 60 FPS and slo-mo vidoes in 1080p. With Apple’s new real time image-processing which has HEVC compression so that your video files are reduced in size and a larger f/2.4 aperture, the quality is supposed to have more exposure and true depth. The zoom will be better even in low light. The portrait mode of the back camera is better than the previous versions, with the new algorithms from Apple that will help Portrait Lighting. The algorithms supposedly calculate the changes in our facial features in different kinds of light, thus creating effects as amazing as Stage Light, Stage Light Mono, Natural Light, and Contour Light. Now let’s come to the most loved-slash-hated feature of iPhone X, the Face ID. Would you want your iPhone to unlock itself when it spots your face when you try to unlock the phone? Would you think of it as an added benefit or a security concern? You are probably as stuck here as I am. I mean, at times, I would love to avail that option. But after watching all the movies in which people steal each other’s identity doing some sci-fi thing that makes them look exactly like the person they are about to victimize, wouldn’t you be really worried about someone unlocking your phone. Then again, who would be so desperate to look inside our phone? This controversial, yet kind of amazing feature, has replaced the touch ID system, which means placing your thumb on the home button won’t be happening ever again. All you have to do it bring the device close to your face and look at it. 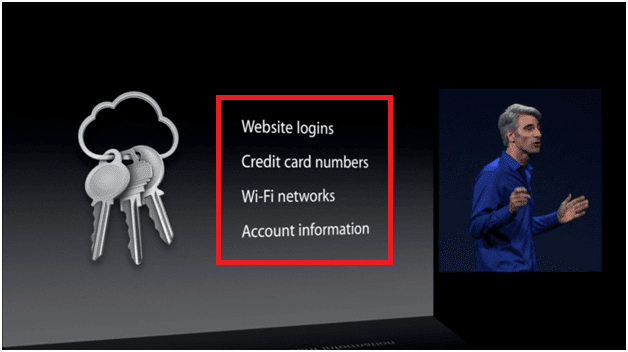 Then you can swipe to unlock the phone or use your authentication if you are about to use Apple Pay. Although people worldwide has been debating the feature, Apple assures that the risk of being unlocked by someone other than the user stands at one to million. Let’s just hope, we are not that particular one! Now the question remains if the phone is functionally better in case of the other aspects too. The new iPhone X has a Qi-standard based wireless charging. The phone just needs to be placed on an inductive charging pad, and the ‘fast-charge” will be enabled, a promised 50% in just 30 minutes if the Apple adapters are used. The Apple 29W, 61W and 87W USB-c Power Adapters can easily be used for the charging. 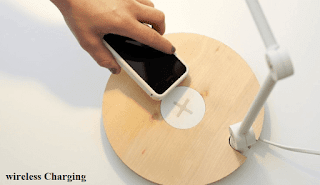 Third party charging pads from brands such as Incipio, Belkin and Mophie can also be used without any hassle. The battery life is promised to be around two hours more than the performance in iPhone 7. The A11 Bionic chip is 25 percent faster than the A10s used in iPhone & and iPhone 7 plus. There are 4 high-efficiency cores that alone have expected a performance of seventy percent. There will be a M11 motion coprocessor. The neural engine is designed in dual-cores, giving it the capacity to recognize places, people, and objects. At a capacity of processing 600 billion operations per second in case of its machine learning tasks, the new core will be the most important active for Face Id and Animoji. 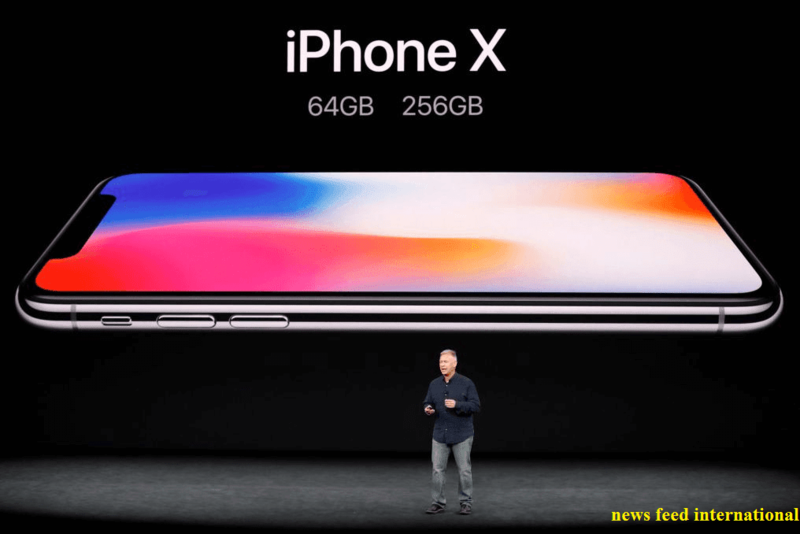 The device is also relatively faster, all thanks to its three-core graphics processor making it about 30 percent faster than the iPhone 7 and iPhone 7 Plus. The Bluetooth 5.0 is expected to be about four times greater when it comes to range and 2 times when it comes to speed. The broadcast message capacity is expected to be about eight times greater than the previous Bluetooth 4.2. The locations system will be using the Galileo support, Europe’s Global Satellite Navigation System (GNSS), which will be replaced by the Global positioning System (GPS) of USA. It will also have Quasi-Zenith Satellite System (QZSS), an augmentation system from Japan, giving more accurate location services. Besides these tremendous improvements, some other changes that has taken place in the new iPhone X are simplified status bar, hold down side button for Siri, swipe up to close the apps, and the “Selfie Scene” feature that brings up an assortment of animated landscapes. Now this amazingly “new’ phone has hit the market starting November 3rd, and the reviews are quite overwhelming. The anniversary phone is quite game changing, a vision of Tim Cook finally realized, removing the last of the “stick with the old” legendary features of Steve Jobs. But surprisingly enough, the hands-on reviews show a huge disappointment at the notch at the top on the nearly edge to edge display. It is kind of an eye sore, and the UI design has seemed to be affected a lot for it. Let’s hear it on the biggest controversy- the FaceID. Users seem to miss the amazing TouchID that they had gotten used to. Another option that’s being dearly missed is the old Home Button. Users have complained that the iOS isn’t amazingly suited to the absence of the Home Button either, resulting in some inconveniences. The screen that’s been attained through the kicking out of the Home Button seems to have poorly utilized too. 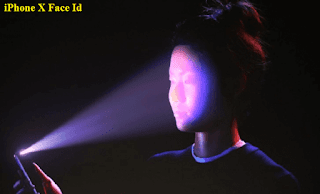 Although the security issues couldn’t just be shaken off, the iPhone X FaceID system turned out to be great and hassle-free. The setup takes about just a minute and is quite easy to set up. The face recognition is accurate, and for security reasons, it can memorize just one face. Now, that could be a little inconvenient, especially when you were not that uptight about privacy in the first place. The FaceID is also as fast as our favorite Touch IDs, unlocking the phone in mere seconds. Then you just swipe the phone upwards from the bottom to unlock the phone. Although not much of a big issue, the upward swipe was a little irritating, and not very comfortable because of the way the thumb needs to be stretched. But repeated swipes can make us completely used to it in no time. Or not. The new iPhone X is also a bit heavier, and heavy is always bad. It’s 174g, which is 26g more than iPhone 8. If you want a comparison with a Galaxy, it’s over 20g more than the Galaxy S8. In case of size, it’s just a little taller than the iPhone 8 and just a hair wider than it too. Compared to the iPhone 8 Plus, it’s much smaller. Compared to a Galaxy S8, it’s around 5 mm shorter, so that’s a good thing. Now Apple has claimed that the iPhone X is the perfect phone when it comes to handling, and they are quite right about that. The size of the phone is just perfect, letting it comfortably sit on the palm. Every single point on the screen of this blessed phone is reachable with only one hand, making it the phone with the most thoughtful design. The phone does tend to be a little slippery, but the fact that the phone has small form, lets the user comfortable grip it. One aspect that users seem to love is the glass at the back. Although Apple was the last brand to jump to the idea of a back-glass device, it eventually adopted it and the phone just looks great! The only bad thing about the back of the phone is probably the camera. The camera has been positioned vertically, instead of horizontally, which is probably mostly an engineering decision. But nevertheless, it looks a little strange for the eyes that have gotten used to seeing horizontal iPhone cameras. But what’s a little disturbing is the fact that the cameras bulge out a little more than before, which becomes an eye sore for the otherwise sleek and shiny back. The border of the camera is made extra sleek, which does little to help the case. The stainless steel around the phone that holds everything together is shiny, giving the phone a much more expensive look. The extra sleek finish seems to be less in risk of scratches. We doubt if the scratches would be noticed even if there were some, considering the fingerprints that’s supposed to remain on the steel. But the downside to this exciting steel band is that it has resulted in the phone being heavier. 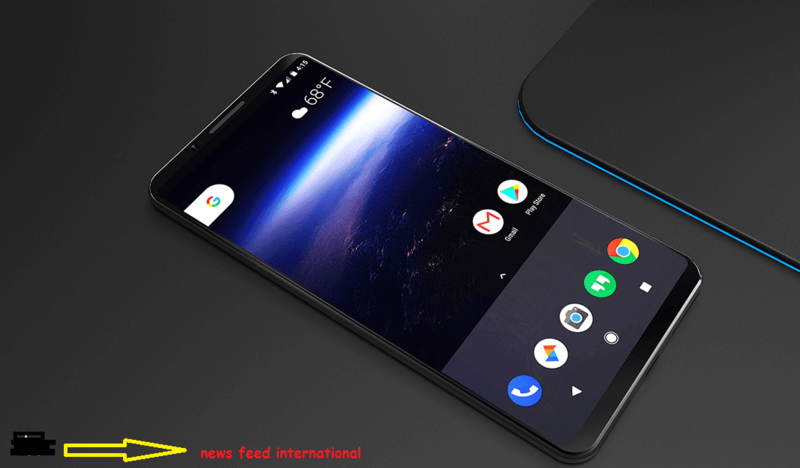 The AMOLED display has been found to be quite breathtaking, and most users are okay with the eye sore of a notch at the top. Apple claims that the glass is the strongest on the planet. But whether it is strong or not, the amazing AMOLED makes it almost worth the risk. But a huge downside is how easily the glass can be scratched. So remember to get a screen protector the moment you get your new iPhone X! The dimensions of the screen are 19.5:9 which is honestly, quite unusual for phones. The corners are rounded off, not making it a true rectangle. But if you leave out the portion on the top, with the notch, and the unusable screen area at the bottom, the real dimensions stand at 18.5:9. And if you were to use the traditional 16:9 ratio that’s used in most movies and other contents, what you’ll finally be left with will be a basic 4.96” screen. So much for the edge-to-edge, eh? The TrueTone adjustments on the AMOLED screen automatically corrects white balance and is enabled by an ambient light sensor of four channels. So, basically what it does it, when it’s turned on, the TrueTone algorithm automatically corrects the white light, comparing it with the ambient light, and thus results in many comfortable pictures, which are also good for the eyes. This is not to be confused with the Night Shift blue light filters. On the display, the real brightness stood at 679 nits, opposed to the promised 625 nits, making the iPhone X screen one of the brightest OLEDs. On the sunlight legibility tests, the iPhone X has outperformed all phones, presenting an outstanding contrast under the sun. The color accuracy on the phone is also quite striking, making it one of the few color accurate phones till existence. But what has dazzled us all is the fact that the color accuracy is retained even when the brightness is as low as 1.9 nits. Another big inconvenience is the absence of fast chargers in the box. An optical one can be bought for sure, but it’s quite expensive and will just add up more on what you are spending on your already expensive iPhone. The iPhone X has about the same battery capacity as the iPhone 8 Plus- a non-removable Li-Po 2, 716 mAh battery. Turning the low power mode on also prolongs the life when the battery drops below 20%. The phone comes with a basic wall charger that managed to charge the phone to only 20% in 30 long minutes. But when tested on a Qi-compatable Samsung fast wireless charger, the phone managed to boost itself to 17% in 30 minutes. You can make the process much faster of course if you use a USB-C-to-Lighting Cable, since the device supports fast charging through USB-C power delivery, or basically any good fast charger. The tests showed charging of up to 45% in just 30 minutes. But as the best mode, we would suggest a 12W iPad charger, since it’s much more reasonable in terms of price than 29W MacBook chargers and the box contains a Lighting cable inside. In terms of speed, it’s just a little slower than MacBook charger since the device charges maximum at 15W. Once the phone is fully charged though, the question remains as to the real life of the battery. The careful tests concluded that the iPhone X has a capacity of 19 hours of 3G calls, 12 hours of video or 9.5 hours of web browsing before the battery dies. The standby endurance was quite impressive, delivering a long duration of 74 hours at a stretch! The iPhone 8 Plus also performed similarly, surprisingly enough, and even beat the iPhone X at video playbacks by 3 hours. The only explanation can be the AMOLED screen which consumes more power than the usual LCDs of iPhone 8 Plus. In case of the audio, although some of the users were quite upset in the beginning about the absence of 3.5 mm audio ports, getting used to attaching the lighting-to-3.5mm audio jacks easily do the job, and it comes with the box too. So, your old favorite pair of headphones can continue to be your favorite, unless you decide to shift to a wireless pair. The camera has turned out to be quite good, both front and back. The low light performance has also increased. So, it’s better overall, but not the best. The video camera, although amazing, it still recording mono audio only. Summing it up, the new iPhone X is quite “new” for sure, with a lot of changes brought. The phone surely is performing great in the hands of its first users so far. We have all been waiting for major innovations in Apple, and this is probably so far the best in a long time. We love the new iPhone X, and we hate to let go of the old features! Although some of the old features seemed to have worked better for a lot of us, hey, why wish for something new if we are so much in love with the old? And for oldies like us, Apple has molded the iPhone 8 and iPhone 8 Plus, which is a much better version of our beloved models. So which one are you getting for yourself this Christmas? Today we want to show you the latest news of the best 11Android applications of 2017. We want to help you a little with this task. It is worth having all or a large percentage of our Smartphone. This time we will review the best existing applications for Android. Let us make a collection of the most useful applications for Android devices. 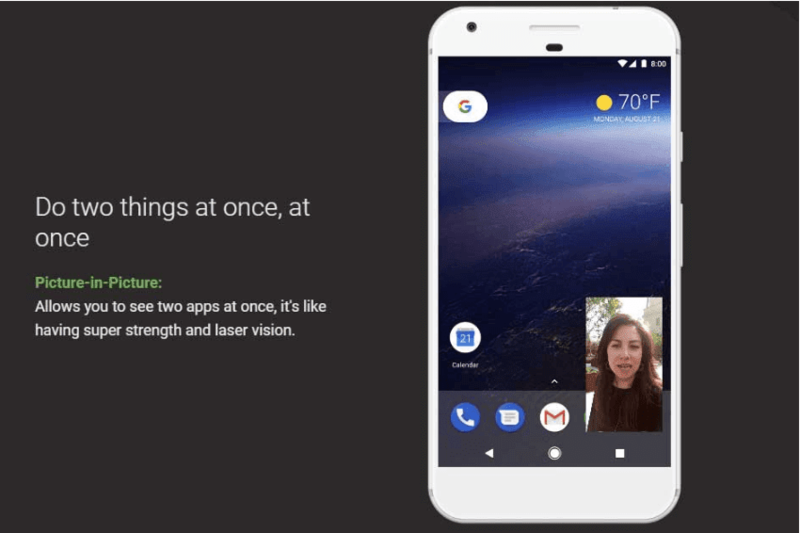 They are new applications that give a plus to any Android regardless of the brand. 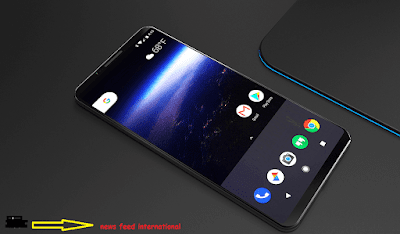 The best applications of the Top 10 new applications for Android will be removed and As long as new releases are released in the play store, that list will be updated. If you have an unlimited data plan or you are a prepaid user and from time to time make recharges but do not know how your data is spent. According to latest tech news, this App will be a great help. It defines the planning cycle (date and MB or GB). It Reports of daily, weekly, hour or monthly consumption.You can see how much and what apps spend your data. Personalized alerts about data consumption. The first and only professional hidden Camera is a best Android app of 2017. The latest tech news is that its main features it saves battery power. It performs 7 days continuously with battery supports. You can set the option for camera quality such as High Quality, Low Quality, Medium Quality, Selfie Camera. and the average score of 4.5 stars. We are now re-listed by Hidden Camera to comply with the Google Play Store's content policy. Hidden camera is super secure stealth for shooting and video recording, even right in front of other people. Mobile Hidden Camera is the only spy camera application that guarantees your security while you spy to shoot with a host of stealth and protective features. It keeps your Security of your privacy is our priority. It is only one of the spy cameras of the application with the no publication of Ads of any kind. Nobody knows that you have a spy app. SMS Tracker is one of the best remote monitoring and tracking systems for Android phones. By installing the free SMS Tracker Agent on the target device, you can remotely read all incoming and outgoing text messages, MMS multimedia messages. You can View photos sent and received. In many activities and jobs, using notes as a reminder is essential. What happens is that sometimes there comes a time when you have so many that you need to order and classify yourself? If you need this and have other functions, I am sure that Evernote will be a very useful Android app. Evernote for Android Wear is surely the best app to write notes and reminders of everything that happens to you. It is a powerful tool you can store all kinds of information such as schemas, email addresses, annotations, personal and professional quotes and even web fragments. All the notes can make in different and customized formats. It means that you can change the font and color, add bold or underline. Evernote for Android Wear which is one of the leading and best, free android applications. It makes it possible to use links to web pages and even supports the inclusion of images. 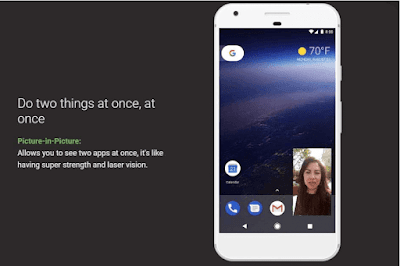 The application developed in a comfortable and intuitive structured interface so that even the most inexperienced users can see in Evernote for Android Wear a very useful application and you can download it free right now. Super vpn client this app offers unlimited bandwidth, no need for root access, use of the most secure VPN to protect your privacy. Unblock restricted websites, plus encrypts internet traffic and works with just a click of the mouse VPN connection. You can find more tech news online about SuperVPN. If you want to get the most out of your phone, you need a file browser. It is a best File Manager (File transfer) for Android. This new manager has interesting features: Sort by categories, Delete, Create direct access, Backup copies of installed Apps. Sort files by music, videos, music, favorites, and large files. It supports for storage management in the cloud: Dropbox, Google Drive, Onedrive, Facebook, etc. Copy and paste like a ninja with this powerful free Android clipboard. It is a productivity apps that manages everything you copy and paste from an elegant interface. You can perform Clipboard history: Date, Bookmark, and Delete through these apps. It is totally Free, without ads and with Material Design design. You can access notifications with floating bubble. You can create Apps whitelist and lock PIN. You can recover copied texts and create Backup copies. There is Easy Copy, share, delete and combine text option in the apps. You can modify the actions of each of the buttons on your Android device without Root. Buttons remapper (not root) also allows you to add additional actions with a short or long press or triple click on the buttons. You can change or add actions to open any app open the camera, volume keys or disable the button completely. One of the most popular applications currently is Spotify. Currently it is free, both mobile and tablet. It is the most popular music listening application. The catalog Spotify Music has is enormous, being able to listen to artists and albums or create your own playlist where the songs that you like. If you want to discover new music, you can choose a playlist that made. That related to how you feel about the mood or receive a series of personalized recommendations based on your tastes. The best thing about this music player is that it is free for mobile. You will be able to listen to any artist, album or playlist in a random way. Undoubtedly, one of the essentials for mobile is in the best Android applications of 2017. The application is responsible for organizing and searching the music files for a number of themes, case of artist, album, song, genre to which it belongs as well as folder and playlist. Check from the notifications panel how much internal memory. It occupies and how much data an application consumes. AppInfo Mini works in real time since it gives us the information of any application that we have open. It provides us is Data used in wifi and mobile, weight of the application, space used in data, cache and acquired permissions. If we are on the desktop it shows us data about the used RAM, occupied and free storage, percentage of the battery. Take advantage of the widgets of Android applications with Snap Swipe Drawer. Snap Swipe Drawer allows us to access widgets in any app that we have open and even from the lock screen. Within the settings you can change the activation area (Left, center and right), sensitivity, create a whitelist of apps where you can activate and enable the option to activate from the lock screen. Hopefully, you enjoy and as always choose those that may be worth more. Remember that all applications take up space on your device. Finally, tell you that we always recommend that you read the terms and conditions of these apps because the small print may surprise you often. From last few months, you may be heard the name of Android Oreo. 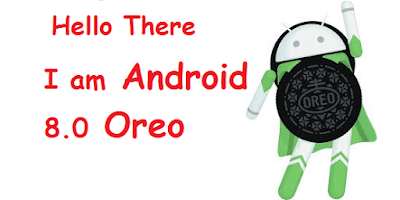 Today, Our Latest tech news is about to android New Version Oreo 8.0. Because this is the new Android version of Google this year. Google has some habit to release a new version every year. and they didn’t have 10% users of the previous version yet. 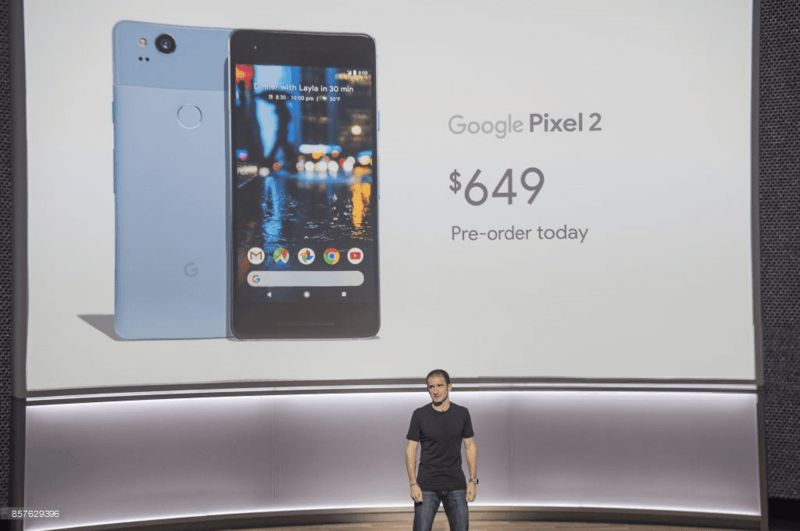 That means Google released Oreo this year but you may feel sad after hearing that their previous version nougat didn’t reach most of the android users mobile phone. 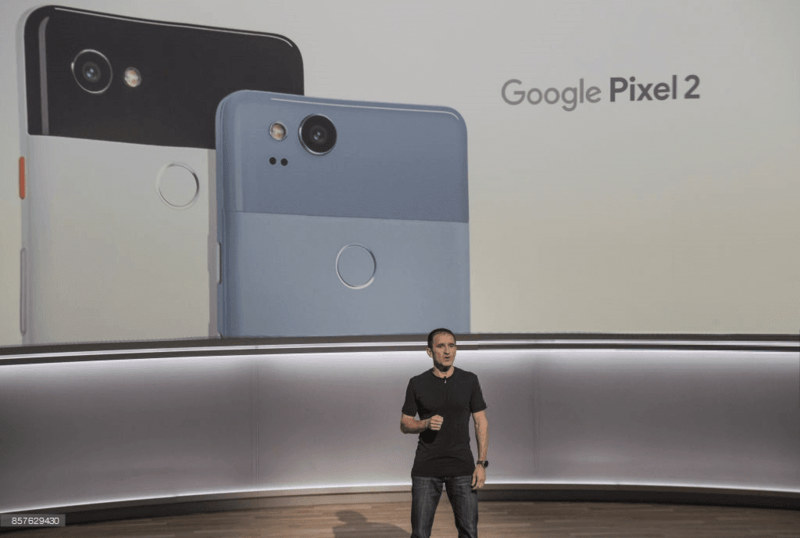 during this term, google give the priority to their own device like Nexus, pixel etc. Those are maintained by Google so they get an update first. 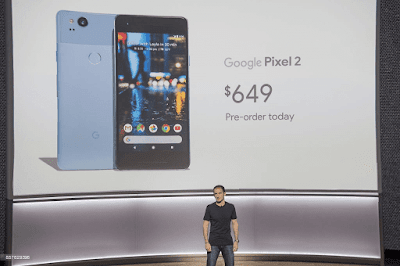 Like the new Pixel 2 and Pixel 2 XL already installed with Oreo. Today our topic to discuss the changes, new features, and improvement of this new Android version. Maybe you will not get the update so fast on our smartphone. But you learn about the new version. So let’s start with this latest version. in this version, so much improvement and updates they have that can make this article large. So I will discuss some main changes and features. From my view, it is the most important, attractive and big improvement of this version. For this feature, users can watch a video and the same time they can do others task by phone. So that means if you quit video then the video will not stop Playing. The video will continue to any corner of your phone and you can do anything at the same time with your phone. The video will not interrupt your work. For your benefit, you can move the video to any place of the screen and also you can make big or small. But for YouTube, you need Red subscription. This feature may not breakthrough like the last but much helpful. You can more easily notice your installed apps and what they will do in the background. You can control as you want. In the previous version, you can’t see that some 3rd party apps are draining your battery or using data in the background. But if you are using Oreo then you can see in settings and also you can stop them. You may already be tried Password autofill in old versions. But you need 3rd party password manager for that. 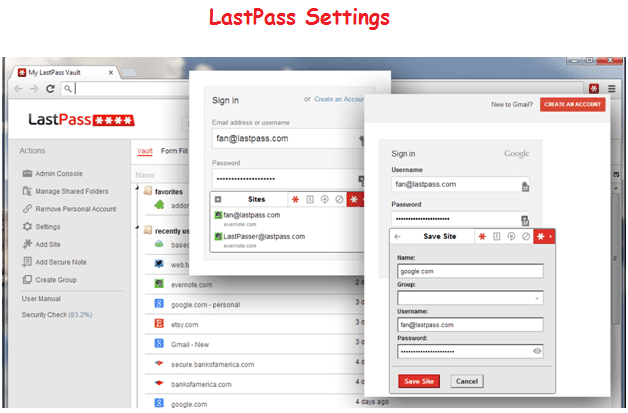 Like lastpass, npass etc. Oreo has the native feature of password manager. For this, you don’t need 3rd party soft if this version. Which website and apps password you saved with chrome google smart to lock in your pc or smartphone those username and password will be auto-filled this when you are using a specific app on your phone. So that you don’t need to remember that id and pass or using 3rd party software. now user can understand from the home screen icon that which specific app got a notification. If any app got some notification then you can see a dot mark on the app. So you can easily mark that which app have some notification and which don’t. those are using android nougat (7.0) they know how much ugly look it has. Moreover setting page of nougat is not arranged properly. But in this version setting page totally redesigned. This time it is more organized and attractive. In this version of android, notification panel and quick setting panel also got new look. The previous version of this had a full dark theme. This time notification panel and quick setting panel theme is changed to light or white, but I don’t like this. The previous one was better (personal opinion). android Oreo got the new interface of emoji. Those are known by the previous version in this version you can not get those Emoji. New emoji may like someone or may not. Although I like them and better than old. In this version, Google took care of audio performance. The user of Oreo will get more experience than other versions of Bluetooth audio. Google added some built-in codec those are user replaceable. So you can change Bluetooth audio codec in your own way. by your choice, you can change wireless audio communication protocol by changing codec while playing music. as a result, you will get better audio listening experience. Google claim, smartphone maintain by Oreo will boot faster than old versions. This version will make maximum 50% faster boot than others. So the newer version will take halftime than older to start-up. This Android smartphone will be fluid and smooth in performance comparing those previous that also claimed by Google. That's All for this Android version of Oreo. Hope, you can find latest Smart features about this version. If you have any kind of confusion or question feel free to comments below. The iCloud Keychain is Apple’s default password manager which, as we all know, are a management system set in place to remember, gather and secure all your accounts information; usernames, passwords, Wi-FI, credit card and other such sensitive data used on your Apple devices. For those of us who are looking for sharper alternatives, look no further for we’ve got just the right stuff for you: 1Password, LastPass and Dashlane. Before step into the alternatives, let’s recap on the already established default program. 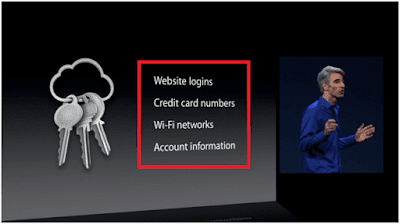 Apple’s Keychain does what you expect out of any decent password manager, right? Let’s find out. Is the security around additional device authorization air tight? No. The approval takes place in what is called a signature validation procedure. Unfortunately, it has been found that a custom made packet that gives rise to an OTR which can steal passwords, credit card and other such sensitive data. What is it that Apple can’t offer that the others can or are they basically the same and it’s a matter of personal preference? Read on to find out. This Swiss Army knife of a gem works overtime and across all platforms to keep track of all the unique passwords used in your social media apps, banking, entertainment, documents, insurance and other such privacy sensitive websites and apps. It has a friendly, much liked user interface. Here, only one unique password gives access to every other one; that way you don’t have to individually memorize each one. One ring to rule them all! All your passwords, medical data, documents, credit card data and any and all data you deem delicate can be protected by one master key, essentially. Here, local storage is possible as well as sharing of information with other authorized users, according to your consent, of course. How can it protect me? Keeping in mind how corrosive, invasive and technologically advanced hacking threats are getting by the day where, it seems like, there is an unending list of ways to secretly gain access to our data. Working off of its AES-256 encryption platform, 1Password makes sure it generates enough random keys automatically to keep evil off its tail. While browsing the internet, to keep you away from fishy sites, its “watchtower” feature notifies you to keep away. While storing information in its vault, it’s actively letting you participate in the password generation where you can customize your unique login information. Besides, more user interaction is made possible by use of its TouchID fingerprint system as a part of its login authentication system. It’s free to download; however, some of its top tier features will cost you money. Each time you step out, you have to log into the app. And over time, users have been known to get frustrated by this. Additionally, it asks the user to fill in a password that’s already in its vault. The user interface could benefit from some changes especially the search bar which has been problematic when looking up passwords. 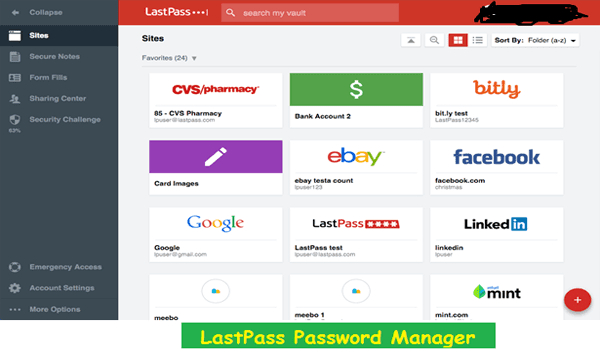 With this you don’t have to fear of losing all your usernames and passwords. This one-wallet-only system keeps all that information under one locked away high security basement facility. 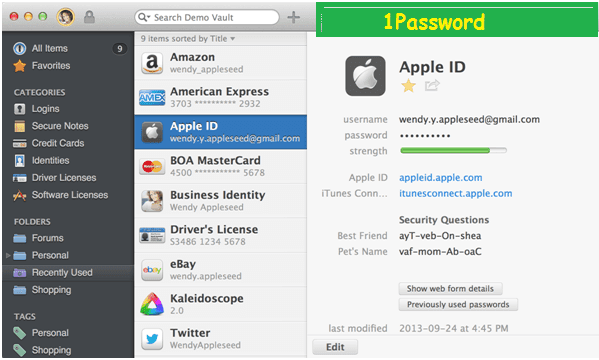 As with 1Password, the industry standard AES-256 encryption system is at the heart of its protection factory. To ensure, just as backup, there are no other ways to crack its code, since this is no National Treasure or Dan Brown movie, an additional PBKDF2 SHA-256 key derivation function is used to maintain strict confidentiality and security. It has a user friendly interface that tracks all your accounts information, stores them and notifies if there are breach threats from websites and other apps. Users benefit from its 2-factor authentication system by using YubiKey, Microsoft Authenticator, Authy, Google Authenticator, their own LastPass Authenticator, RSA SecurID and USB devices. Besides, it also offers fingerprint access as a swift alternative. To ensure hackers or malware cannot read your keystroke date as your enter your login information, it auto-fills passwords after you open the app and can also provide you with a virtual keyboard to fill in login data undetected. 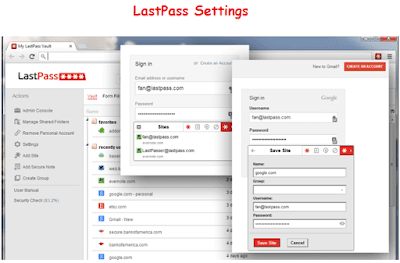 Moreover, for ones who want to enjoy a more practical and tactile access system, yet one that remains consistently supportive experience, LastPass has brought forth the LastGrid. This exciting feature is enabled by first printing out a mathematical chart and using its information to log in. Pretty neat, isn’t it? This is available for free on several platforms and devices including iOS, Windows, Linus and Android. It has been known to save password more than once which causes users to experience unusable entries. Despite the claim, some have complained about their customer support. While it’s like body armor, the multi-factor authentication system can come off as not worth it for its setup puts user through an unnecessarily messy interface. This is one of the best out there which is giving the rest a run for their money. 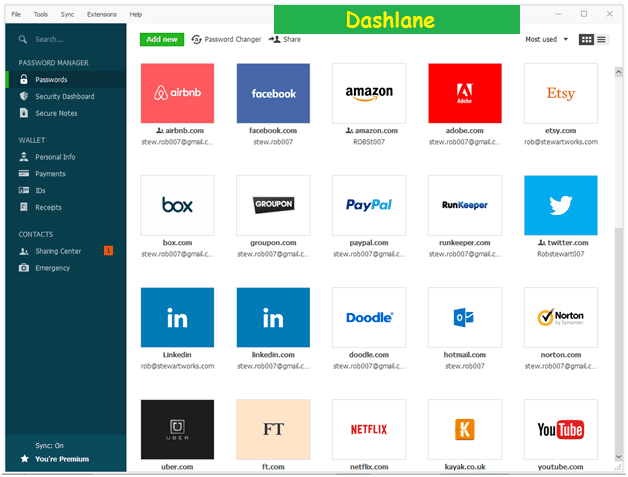 It’s simple and easy to use and makes password management be inviting for all users while ensuring proper security measurements and protocols. Its security measurements are easy to grasp starting with features such as its auto-fill, tracking of online shopping, credit card information, documentation protection & storage among other things are some of its most attractive selling points. As far as storage is concerned, its wallet, or vault or treasure chest, whatever you want to call it, helps secure password information locally and can sync to other authorized devices. It is also versatile in that it allows users of iOS, Windows and Android enjoy the benefits together. 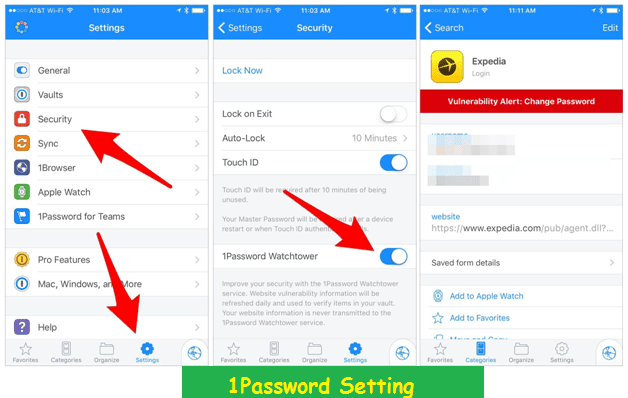 This offers the users two-factor authentication, share information with authorized members, among other things, in order to regain access to your device if you’re locked out. After logging in, only to make sure nothing has changed while you were out, can change all your passwords kept in its vault with only a few clicks. Simply put, the ratio of existing passwords to the few steps needed to control them is spectacular. It comes with a password changer feature to make sure you’re always a step ahead of hackers. 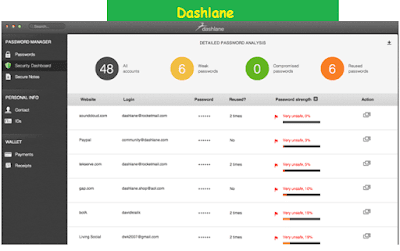 It also analyses your passwords to make sure you only have the strongest you can get. Furthermore, this Security Dashboard also notifies you if a password is being reused, this way only one unique password is established that only applies to you. While some fear a cloud based vault makes you susceptible to theft, it helps user store information locally with only one key to access it, sync to devices and enter from the internet. This information be it, documents, login details, shopping receipts, credit card information, work, insurance, payment data and other such at risk items of information are held inside a industry leading and competitive wall of security which makes it stand out among a sea of other options. It is expensive totaling $39.99/year. Their customers have complained about not getting the best email support they hoped they would get. Moreover, launching 2FA was reported to be a little difficult due to lack of clear directions. KeePass, Roboform, Keeper Password Manager, Sticky Password, True Key, LogMeOnce and SplashID Safe. While a lot of features will be common, key ones such are storage, where you get unlimited help and sharing options, cost, of course, are some of the things which can help you make the final decision. Do some research since this sort of information isn’t tough to find on the Internet. Tech companies and hackers are working at light speed to outsmart one another Always be sure to take extra care of the kind of data you’re sharing and entering in your devices, so trust your instincts and do your part, regularly change passwords, stay away from content easily vulnerable to exploitation and keep reading our articles for the latest tech information.